The following is an overview of human rights violations in Iran on January 7th, 2019 based on the information compiled and verified by Human Rights Activists News Agency (HRANA). (1) Nasrollah Lashani a political prisoner, began his hunger strike protesting mistreatment by the prison officials. Lashani is a Nationalist-Religious Activist who was accused of ‘propaganda against the state’ and sentenced to six years in prison. He was beaten and insulted in front of his wife and his 8-years-old son during a family visit on December 26, 2018. (2) Two detained workers of Iran National Steel Industrial Group Mostafa Obiat and Kazem Heydari were released on bail on January 7, 2019. Tarogh Khalafi, Mohammadreza Nematpour, Behzad Alikhani, Karim Syahi, Meisam Ali GHanavati, and Gharib Hoveizavi are the six other workers of NISCO who are still in prison. (3) Mohmmad Yousefi, a political prisoner who is serving his two years sentence in Evin prison, requested for an appeal but it was denied. He was charged with ‘insulting the Supreme Leader’. (4) Mohammad Najafi ‘s appeal request was denied. He is a lawyer and human rights activist who is serving his three years sentence in prison and faced 74 lashes and 14 more years imprisonment for his new charges of ‘spreading lies and disturbing public opinion’. (5) Abbas Lesani, Azerbaijani Turkic minority rights activist, was released on bail. He was tried in absentia and sentenced to 10 months imprisonment on charge of ‘propaganda against the state’. (6) Expulsion of Sima Nazifi, a Baha’i architecture student from Azad University of Shahriyar due to her faith. Baha’i students in Iran routinely experience either denial of entrance to university or removal from student lists during their studies. Numerous reports are published annually regarding the barring of Baha’i citizens from education. (7) A member of Isfahan city council, Nahid Khodakarami, was charged with ‘promoting de-veiling’ through her interviews and tweets. (8) The forced closure of a Baha’i citizen, Farshid Deymi’s business in Birjand which had been permitted by Judicial authorities. (9) The workers of Ahvaz sugar refining company have six months unpaid wages. (10) Morteza Oustad, a prisoner of Tabriz prison, began hunger strike on December 26, 2018 protesting ‘unfair judicial system’. He was transferred to medical ward due to his deteriorating health condition. (12) Three protests were organized on January 7. 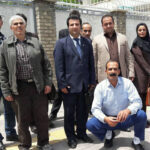 The farmers of Varzaneh in Isfahan, the customers of Saipa Citroen Company in Tehran, and the workers of Doroud-KhorramAbad railway held separate protests to request their demands. (13) Esmail Bakhshi ‘s torture complaint raises sensitivity among people and now he is forced to deny it. He wrote a letter explaining his torture in prison and called on the Minister of Intelligence for a debate concerning torture and abuse in prisons. (14) A prisoner charged with murder in Miandoab, was saved from gallows by victim’s family’s consent after spending 15 years in prison. (15) Atena Daemi’s mother wrote an open letter and questioned the minister of intelligence, about her daughter’s tortures in prison. Recently, Esmail Bakhshi has written a letter about physical and psychological abuse and tortures in prison. 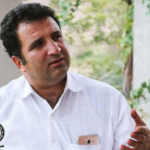 Human Rights Activists News Agency (HRANA) – Attorney and human rights activist Mohammad Najafi was charged with “spreading lies with intent to disrupt the public mind” after travelling to Iran’s Kurdish region to meet with the family of Ramin Hossein Panahi, a political prisoner who was recently executed. Najafi confirmed to HRANA that he was read his charges in Branch 1 of Shazand’s General and Revolutionary Investigation Court on October 14th, pursuant to a summons he received the day before. Though Shazand Criminal Court No. 2 recently opted not to suspend Najafi’s internet activity, he said more charges would be forthcoming against him for content he posted online. When news of Najafi’s situation reached Tehran MP Mahmoud Sadeghi, he accused security forces of fabricating the grounds for his case, and defended Najafi by saying he had only gone as far as clearing Heydari’s name of a drug-dealing charge. Najafi was detained in July 2018 along with 10 others who participated with him in the January protests in Shazand. The group was charged with “disturbing the public peace and spreading lies with intent to disrupt the public mind.” Judge Mohammad Reza Abdollahi of Criminal Court No. 2 Branch 102 of Arak, the provincial capital of Markazi Province, convicted and sentenced the group to three years of imprisonment and 74 lashes each. 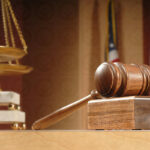 The sentence is currently being appealed in hearings that began October 3rd in Markazi Province Appellate Court Branch 1. Shazand is located in Markazi Province, central Iran.